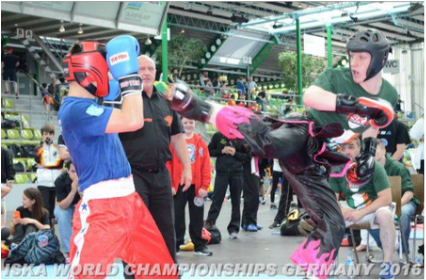 In May 2016, Third Year student, Adam Doyle, competed in the I.S.K.A World Kickboxing Championship which took place in Stuttgart, Germany. He fought an Australian in the semi final and lost to a Ukranian fighter in the final where he took second place over all in the <63kg weight division. Having come second this year, Adam hopes to get gold next year. Well done Adam. It is a great achievement.